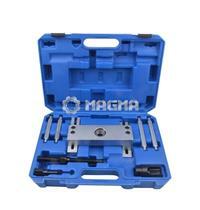 Use for BMW Common Rail: M47TU, M57, M57TU. Hexagonal wrench to remove the solenoids. 2 pcs x 140mm support foot.2 pcs x 115mm support foot. 1/2" Drive socket to remove the electronic group.